jojoba seed | Desert Whale Jojoba Co. In the austere and unforgiving climate of the American Southwest blooms the unique Jojoba plant. Native to the arid Sonora Desert , Jojoba contains natural emollients that penetrate, moisturize and condition the skin and hair. Although Native Americans harvested Jojoba and utilized its curative properties for centuries, it wasn’t until the 1970s that scientists discovered that oil extracted from the plant could provide a natural base for cosmetic formulations. Although Jojoba is commonly called an oil, it is actually a liquid wax ester. As the singular botanical source for such esters, Jojoba possesses a chemical formation comprised of long chains of unbranched esters ranging from 34 to 44 carbon atoms. 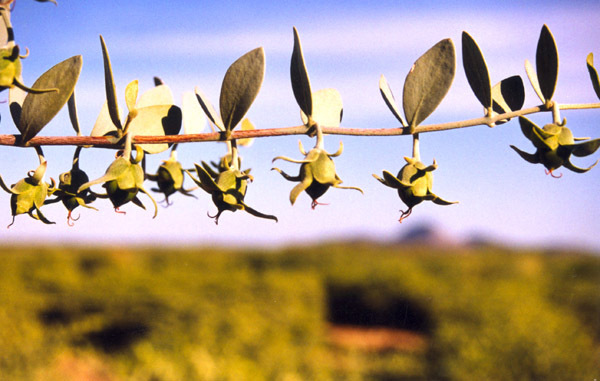 Jojoba’s molecular composition results in exceptional oxidative stability. What does all of this mean? It means that Jojoba provides an unsurpassed, non-oily, and non-occlusive base for a wide range of superior personal care products. In shampoo and conditioner, Jojoba adds shine and improves the combing and manageability of hair. In lip care products, it imparts gloss, moisture and improves slip for dispersing of pigments. In hand and nail care applications, Jojoba penetrates and conditions the fingernail and cuticle. From the seeds of the Jojoba plant come products that satisfy discriminating consumers everywhere. Whether you are a manufacturer, distributor, or retailer of fine cosmetic products, Jojoba has the qualities that are right for you. Desert Whale offers a complete range of products derived from Jojoba. These functional ingredients originate from various parts of the jojoba seed through proprietary methods of extraction and/or processing. The first process is extraction of the oil from the Jojoba Seed. The resulting products are Jojoba Oil and Jojoba Meal. Our family of products are then produced from these two ingredients. For more information on our products please visit www.desertwhale.com. Desert Whale actually started as an offshoot of the Save the Whales Campaign over 30 years ago. As you may know jojoba oil is a natural substitute for sperm whale oil. Our company founders began growing and promoting jojoba in order to curb whaling. Today, jojoba is a prominent ingredient in a variety of cosmetic and personal care products. Over the years, Desert Whale has expanded its product line. We now carry a wide range of jojoba derivatives and natural emollients such as Apricot Kernel Oil, Hemp Seed Oil, Avocado Oil, Evening Primrose Oil, Borage Oil, Sweet Almond Oil, Crambe Abyssinica, and Tea tree Oil. For over 30 years, Desert Whale has been dedicated to supplying the personal care industry with functional, quality, and natural ingredients for cosmetic formulations.